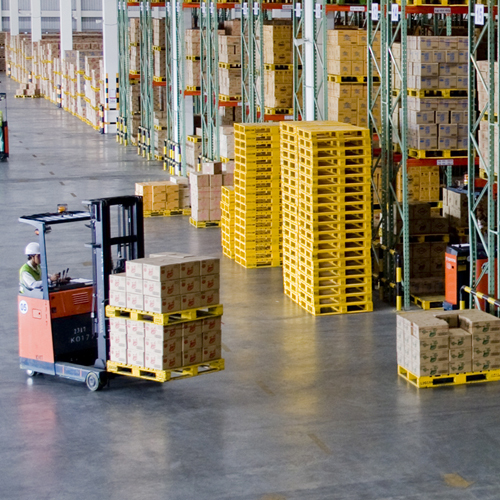 Our round the clock warehousing services supports the upstream and downstream chain by offering safe and secure space whether it is FMCG, General Retail Merchandise, Electronics, Automotive or Engineering precision parts. This has empowered us to offer high quality infrastructure and facilities at competitive rates. Our warehousing is fully supported by our Logistics capabilities and thus we have a flexible mechanism to offer pick up and deliveries based on your needs. We have an advanced warehouse management system and well trained staff allows our customers to follow Just In Time mechanisms and thus optimize their inventory levels. Sharaf Shipping at Saudi Arabia focuses on aspects of Health, Safety, Security and Environment to ensure well groomed facilities and staff.